The first thing you should do when looking to buy a new home is see a mortgage advisor to obtain a Decision in Principle. This will tell you what mortgage options are available to you and most importantly it will tell you the maximum price you can afford to pay for your new home. We can introduce you to good mortgage brokers that we know, or you can find your own. It’s also worth talking to a mortgage advisor at your own bank as they will know your banking history better than anyone, but do bear in mind that your own bank will be limited to only offering you their own mortgage products. So it’s often worth talking to your own bank and an independent all of market mortgage broker to find the best mortgage product for your personal circumstances. Whoever you take advice from, do remember to mention to them that you are looking at buying a New Build Home from a developer that’s registered with the Government Help to Buy scheme so that they can include this in the mix when looking for the best options for you. When buying a New Build Home from a House Builder you will be required to complete a Reservation Form and pay a Reservation Deposit in order to reserve your chosen plot. At this point the process and stages of buying your new home, the Customer Journey, will be explained to you. After reserving your new home you will need to complete your full mortgage application. Your mortgage advisor will inform you of the required documents and arrange an appointment, either face to face or via telephone to conclude your full mortgage application. This will include your Help to Buy application if you’ve decided to take advantage of the Help to Buy scheme (note Help to Buy is only available on New Homes with a purchase price of £600,000 or less). Ideally you should have done this before reserving, but if not it’s now critical that you get the property you need to sell listed on the open market for sale. If you don’t know a selling agent please ask us as we may well be able to make a few recommendations. We can introduce you to an independent solicitor that has knowledge and experience of our developments, or you can find a solicitor yourself. Whichever solicitor you choose, their role primarily is to protect the interest of you and your mortgage lender by making sure that there are no legal / title problems with the property you are intending to buy and that the sale of your new home is conveyed and registered correctly. They will also explain and advise you on the terms of the sale contract. Your mortgage adviser and administration staff will now work to obtain your mortgage offer. Timescales for this can vary from case to case and lender to lender, anything from 4 to 6 weeks. At this point the mortgage advisor will also discuss your options for protecting your mortgage, your family and home and advise you of your legal obligations. There are generally 3 levels of survey; a Lenders Valuation, a Home Buyers Report and a Structural Survey. When buying a brand new home which is covered by a 10 year structural warranty, as is the case with our homes, it is really only necessary to have a Lenders Valuation. 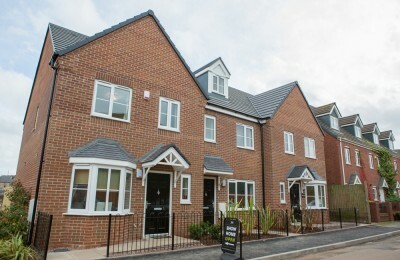 This is because your new build home will have been subjected to rigorous tests and inspection by both building control and the warranty providers building surveyor prior to issuing final compliance certification and the warranty cover note, both of which will be inspected by your solicitor as part of the checks they do on your behalf. Upon satisfactory assessment of your case and the survey being satisfactory, the lender will issue a formal mortgage offer. Your mortgage advisor will check it against your requirements and assuming it is all in order will forward a copy to you and your solicitor. Once you have a formal mortgage offer you are in a position to exchange contracts on the purchase of your new home. At this point your solicitor will advise you of the conditions of sale, the fixtures and fittings included, and the results of legal searches etc. to make sure you are completely happy with everything before you exchange contracts. Once contracts have been exchanged the sale becomes legally binding and there would be financial penalties if you failed to complete the sale. This typically takes place on a pre-agreed date and is the day the sale legally completes and you receive the key to your new home and move in! There can be a delay of several months between Exchange and Completion if for example you are purchasing a new build home off-plan before it has finished being built. Exchange and Completion can also take place on the same day. This is known as Simultaneous Exchange and Completion and typically happens where a first time buyer is buying a new build home which is build complete and there is therefore no chain / related sale. 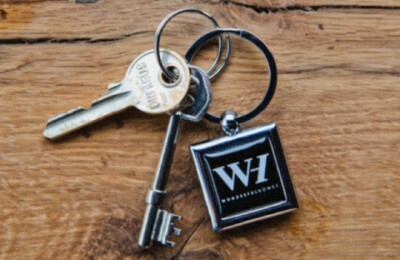 If your new home purchase is dependant on you selling an existing property this is know as “being in a chain”. Where you are in a chain it is critical that you keep a regular track on everyone that is involved in the chain to make sure that your house purchase can complete on the date agreed.